This is a variation of the original Red Headed. Although the names are similar, the ingredients are totally different. The only thing that is similar between the two cocktail drink recipes are the names. 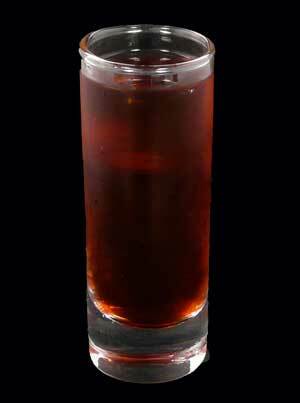 This drink is an example of a shot or shooter type. It’s meant to be gulped down with one swallow. It will appeal to a younger crowd who like their drinks strong and sweet. You may use any of these glasses. Large shot glass, rock glass with no ice, or stemmed cocktail glass. The choice is yours.